In the past few weeks, we introduced several new updates. Needless to say, our customers absolutely love them! Most of them are related to document management and online booking. We made them because you asked for them. So, let’s get started. So many of you organize custom tours. Many of you also asked us if our tour booking system supports departures per enquiry. We’ve heard ya! Recently Orioly was enriched by such a feature. 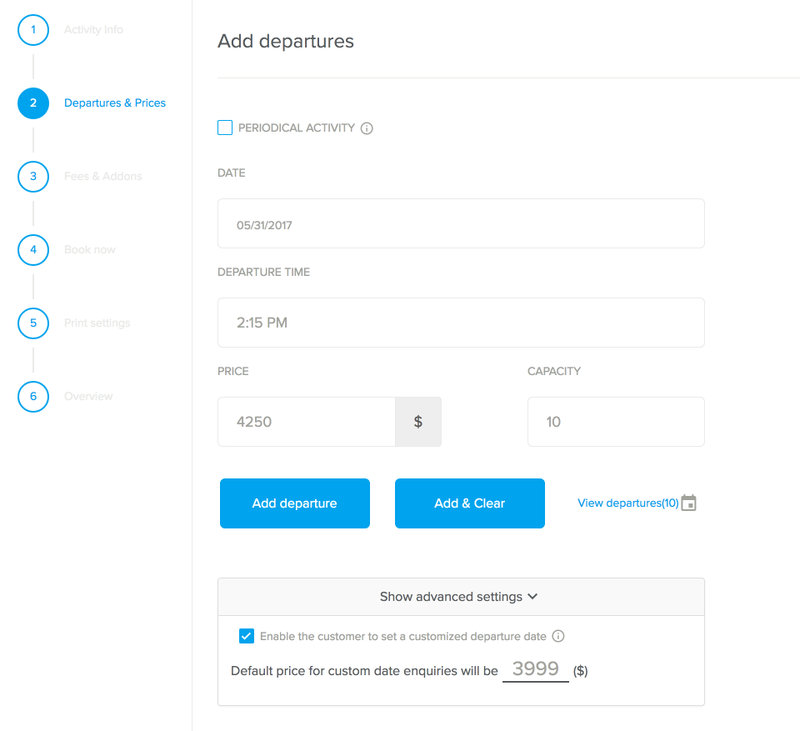 It lets your customers choose their departure date through Orioly booking button on your website. In the end of their online booking process, they can choose to send you an enquiry. That’s when they outline more of their special requirements. Or they can simply opt to book now and pay. You can easily enable the custom tours feature in the advanced settings of your Orioly. Do it while writing your tour description. The improvements simplified document tracking. They also let you customize your documents to your business process. You can add any information you want to the documents. All of this is much easier to do now. Also, you can select the documents you want to send to a customer after she or he makes a booking. Many of you have their own invoice numbering system. You’ve been using it since forever and it’s not easy to change. No need. Now you can apply the same system to invoices and quotes that you create in Orioly. Every country has it’s own legal/tax definitions. Sometimes you note it to your customers on the booking documents. Sometimes you also want to include other information. Now you can add such details related to a specific tour on any document. It can be a quote, prepayment or payment invoice, a refund or a voucher. 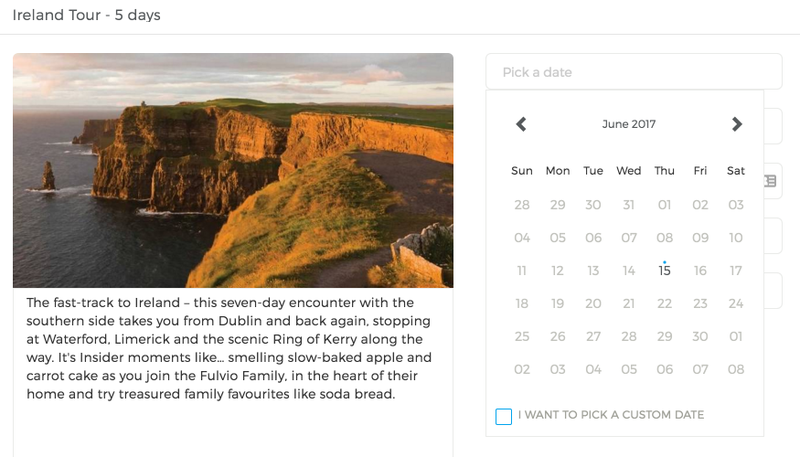 A valuable feature for your custom tours! We improved several existing features, like managing booking deadlines (cut-off periods), handling packaged bookings and “almost-full” notifications. Our IT team confirmed. With the latest updates, Orioly is working faster than before! You’ll love them all, I promise! Stay tuned. In the meantime, try Orioly for free, and check all the new updates that we released in the past few weeks!